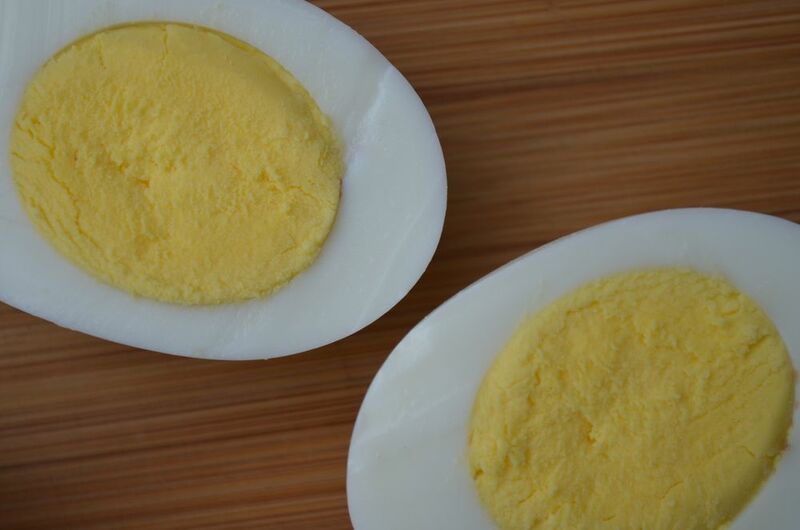 For perfect hard boiled eggs we're looking for eggs that are slightly older. When submerged in cold water, these eggs will float a bit or even tilt. On the other hand, really fresh eggs (good for omelets etc.) will sit at the bottom. Expired eggs will float to the top. Place eggs in a heavy pot, cover with water and a lid. On high heat, bring to a rapid boil. Now it's time for a 15 minute ice bath. Gently transfer the eggs to a bowl full of ice water. This cools them and makes them easier to peel. At this point you can keep them in the fridge (for up to a week) or prepare accordingly. I like my eggs to be dry before I crack them. Peeling eggs under running water can make them soggy.